Ever since I was in third grade, there were two things I wanted to do in life. First, was to become a teacher, and second was to write a book. 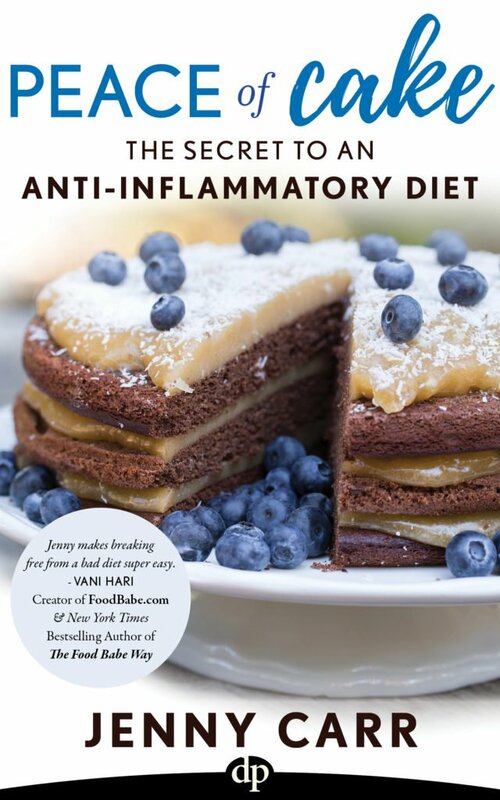 The marriage of my two dreams came to fruition when I published my first book, Peace Of Cake: The Secret To An Anti-Inflammatory Diet and it became an international best-seller! Say…what! Now there’s a milestone to check off! It’s funny how things all work out in life. I now write and teach about a topic near and dear to my heart. A topic that helped to save my life from severe auto-immune condition, and completely transformed that of my son’s from his sensory condition. What a gift and I am beyond honored to share it with you. Does eating healthy leave you feeling deprived and overwhelmed? Peace of Cake: The Secret to an Anti-Inflammatory offers an easy, long-term solution that doesn’t deprive your taste buds. Anti-inflammatory health coach Jenny Carr has designed a streamlined approach to eating an anti-inflammatory diet by focusing on one, simple food group. The rest of the top inflammatory foods will fall to the wayside, and your healthy lifestyle will simply fall into place! In Peace of Cake, you will find food swap recipes for cakes, cookies, breads, pizza and more. In this Eat This Not That style book, you can say goodbye to chronic health issues, including joint pain, loss of energy, poor sleep, inability to lose weight, digestive disorders, auto-immune conditions, diabetes, brain fog, allergies, skin conditions, and more. 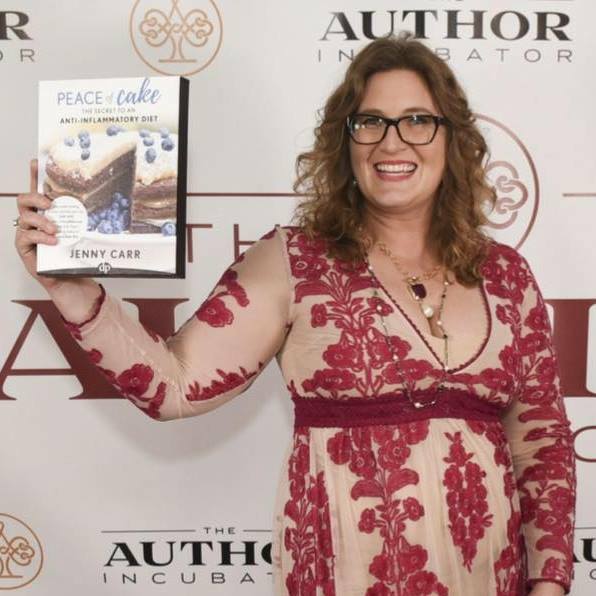 Click Here to Purchase Peace of Cake on Amazon! Does your child suffer from chronic health conditions like sensory conditions, ADD or ADHD, depression, anxiety, asthma, autoimmune disorders, diabetes, arthritis, respiratory conditions, poor digestion, food allergies, obesity, or developmental learning disorders? Believe it or not, these conditions may all share the same root cause: inflammatory eating. 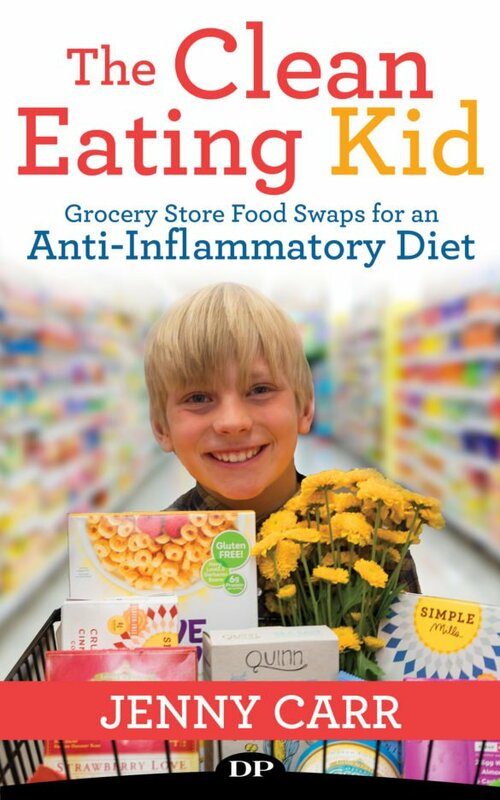 Replacing inflammatory foods with alternatives that your kids love is the single most effective way to begin to reverse chronic symptoms. And…as a special member of of my tribe, I would LOVE to have you join my book launch team! As a member of my team, you will be the first to receive a free advance reader copy of The Clean Eating Kid, as well as a special gift (think free super-food) as a thank you for writing an honest review of my book, posting it on amazon and then sharing it on social media the day of my launch. It’s easy peesy and I will be right beside you to guide my book launch team through this fun and exciting launch! Sign Up For My TCEK Book Launch Team! The book will be coming out this fall. More details will be sent as soon as the advanced reader copy is complete. Stay tuned and be on the lookout!